Syrian Al Qaeda Affiliated Leader Visited Washington, for Consultations with U.S. State Department? That suggests that authorities granted him entry at a time when U.S. immigration authorities face political pressure to block visitors with even tenuous ties to extremist groups. Four months after Nahhas entered the United States on a European passport, U.S. authorities denied entry to a well-known Syrian humanitarian leader who had been approved to visit Washington to receive an award from international aid groups. McClatchy. 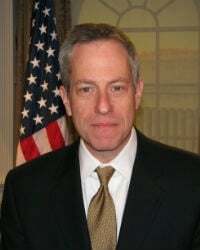 Moreover, shortly prior to his visit to Washington, Nahhas together with other rebel leaders met with Michael Ratney (image right), U.S. State Department special envoy for Syria, in Istanbul on December 5, 2015. Was this Istanbul meeting intended to establish the groundwork for further consultations with the jihadist leader in Washington DC? The report suggested that the Ahrar al Sham “moderate” terrorist leader (who appears to have the profile of a US “intelligence asset”) would be meeting with “third parties” in Washington DC ”who might influence policymakers” –e.g. D.C. think tanks, research institutes, media, US intelligence, etc. as well as ”lobbyists and Middle East researchers”. In this image posted on the Twitter page of Ahrar al-Sham on May 6, 2016, an Ahrar al Sham fighter guards the front lines of Breidige village in northwest Syria. Unlike the Islamic State group and al-Qaida’s branch in Syria, the Nusra Front, Ahrar al-Sham is not on the U.S. list of terrorist organizations. These are bold words [above] from such a senior Ahrar al-Sham official, … , this author still finds it nearly impossible to get any group, including those already successfully “vetted” by the United States, to commit to condemning Jabhat al-Nusra in front of others, Syrian or foreign. Al Qaeda goes to Washington! This should come as no surprise. It’s part of a routine. 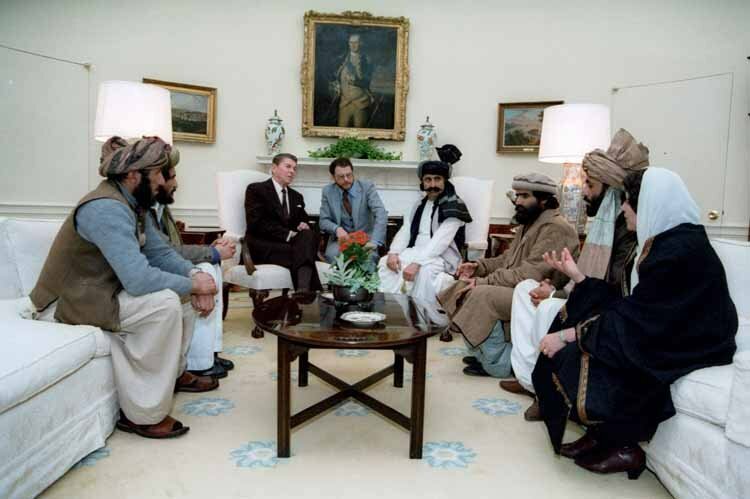 US officials have been working hand in glove with Al Qaeda since the onslaught of the war on Afghanistan in 1979.